PASCAGOULA, Miss. (May 6, 2014) – Huntington Ingalls Industries’ (NYSE:HII) Ingalls Shipbuilding division launched the U.S. Coast Guard National Security Cutter James (WMSL 754) on Saturday. 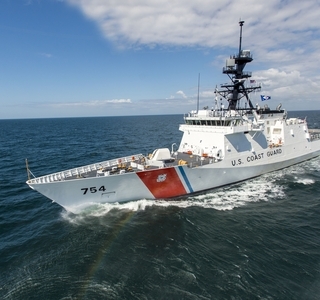 James is the company’s fifth NSC and is expected to deliver in 2015. 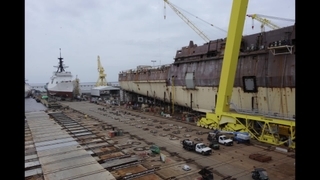 Ingalls’ launch process moves the ship on rail cars over to the company’s drydock. The dock is moved away from the pier and then flooded to float the ship. Tugs then guide the ship to its berthing area where it will complete construction. 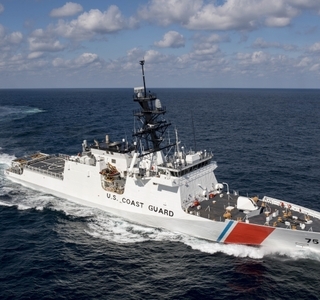 Ingalls has delivered the first three NSCs and has three more under construction, including James. Hamilton (WMSL 753) will undergo sea trials this summer and is expected to deliver later this year. 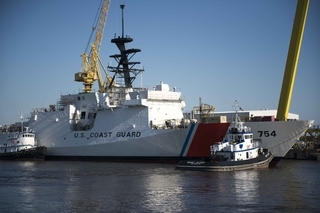 Ingalls’ sixth NSC, Munro (WMSL 755), began construction late last year and will be launched in the fourth quarter of 2015. 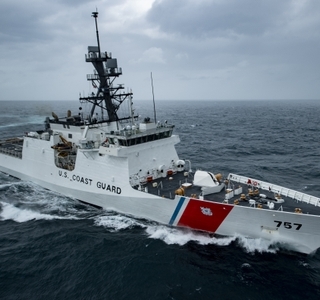 The seventh ship, Kimball (WMSL 756), is scheduled for delivery in the first quarter of 2018.